This is a tale about a teddy called Little Bear and his friend Stinky Mouse. Both friends are bored and they want some fun. They escape out to the big city streets and good times are had, but they get into a little trouble during their adventure. 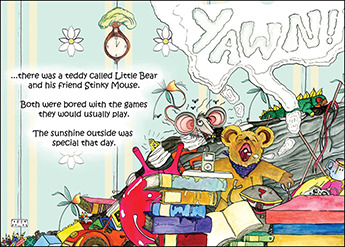 Join in this fun-filled journey with Little Bear and Stinky Mouse, as they learn a valuable lesson. This thoroughly enjoyable read comprises bright and beautiful hand drawn illustrations accompanying clearly written text on each page. 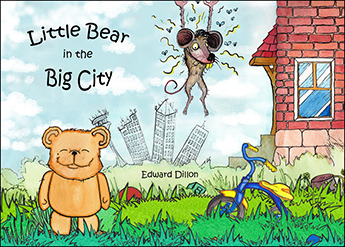 Edward Dillon has masterfully created the much loved characters Little Bear and Stinky Mouse in this delightful tale which teaches children the importance of listening to their parents. 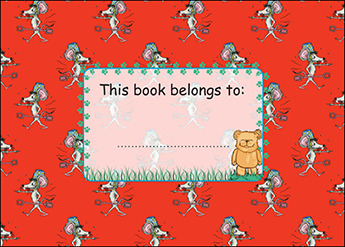 Full of joy and laughter along the way, Little Bear In The Big City is every child’s favourite picture storybook.